You can’t operate a coffee shop in a power outage, so they scribbled a note, turned the sign around, and hopefully enjoyed their day off. 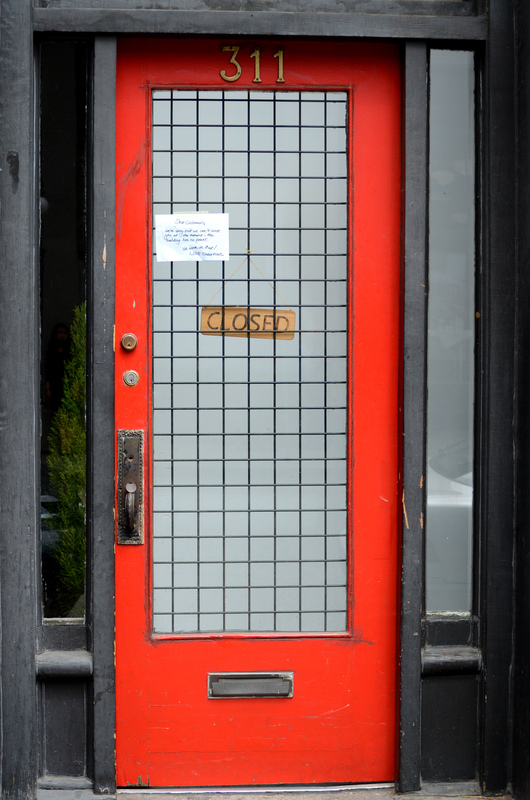 “Tired of Vancouver doors…?” Not a chance :) I like the grid on this. Me too, it’s very geometric. Even though you’re still into the Vancouver ones, you might like the other places to come even better! The red and the little panes really make this door.